Form Tools from Wilson Tool allow multiple bends and angles to be bent in a single stroke. This is a great option when you have handling and part configuration limitations or are working with large quantities. American Precision tooling from Wilson Tool International incorporates a one-of-a-kind design that’s faster loading and more versatile than any other American style press brake tooling available today. To design your custom tool, you will work with our expert team of tooling technicians who will help you determine the right solution for your application. As with Wilson Tool’s standard tooling solutions, special press brake tooling orders include top-notch customer service and the shortest lead times around. All precision tooling is Nitrex® heat treat processed for optimal life. It is precision manufactured to a tolerance of +/- .0008" (.02mm) on all critical dimensions and depending on the configuration of the custom product, is available in long, short or sectionalized lengths for ease of use. 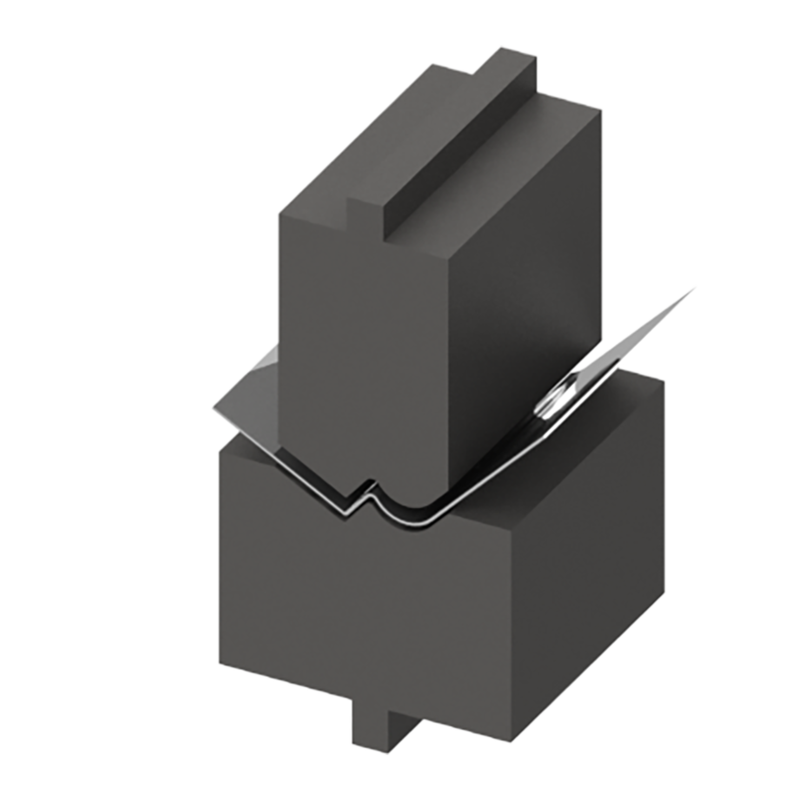 Most sectionalized punches include two ear pieces (horns) for easier box bending, when applicable. Tooling is laser marked for easy identification and includes a push-button mechanism (or safety tang in longer sections) for fast, easy loading.